WPH Press, Tucson AZ- Take your handball game to the next level with the five-part JR WPH Instructional Series aimed at teaching the proper techniques and fundamentals to executing the game’s most important shots. The five-part JR WPH Instructional Series will guide you in self-play drills to quickly take your game to the next level, focusing on tactics and drills to develop a devastating Power Serve, a rally-ending Back Wall Kill, and a first-strike Fly Kill. 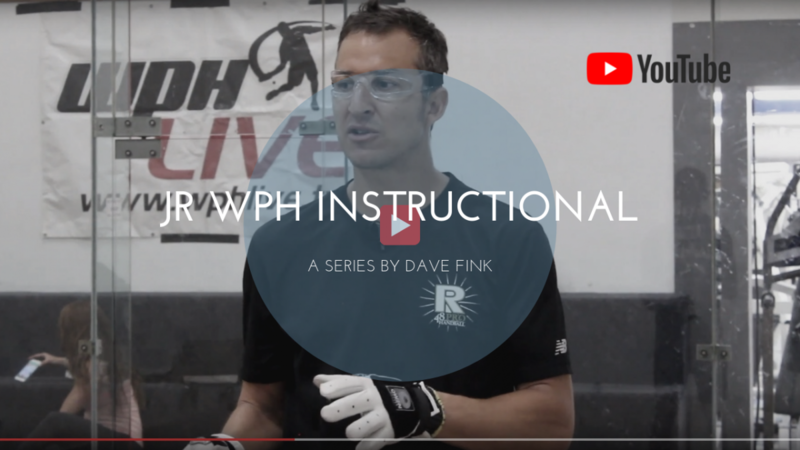 Also included in the five-part JR WPH Instructional Series is the JR WPH Warm-up to prevent injuries and to enable you to be ready to play your best handball from the first ball to the last.